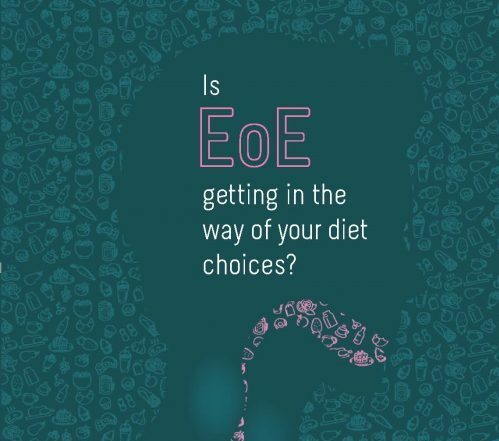 Learn more about the EoE study. Is Eosinophilic Esophagitis (EoE) Getting in the Way of Your Diet Choices? While eosinophilic esophagitis (EoE) treatments are available, options are limited. Currently used options can disrupt quality of life, have limited efficacy, or only address the symptoms and not the cause of the disease. As a result, research into additional eosinophilic esophagitis (EoE) treatment options is needed. To help potentially meet this need, we are conducting the Liberty EoE TREET study to evaluate an investigational drug for the treatment of eosinophilic esophagitis (EoE). We want to learn more about the investigational drug’s effect on relieving eosinophilic esophagitis (EoE) symptoms and reducing inflammation in the esophagus. Want to find out more? We can contact you about EoE studies.